Browse all lot sizes for SilverTowne 1oz Money Bars Silver Bars. Featuring the SilverTowne Trademark logo along with the Prospector and Donkey symbol these SilverTowne "Money Bars" purposely resemble paper money! Custom minted in the USA at our own SilverTowne Mint in Winchester, Indiana using pure .999 fine silver bullion. Exclusive to SilverTowne, the obverse design features the SilverTowne Trademark logo along with our prospector and donkey symbol atop a reflective hammered background relief surrounded by "ONE" in each of the four corners. The top reads "1 TROY OUNCE" and the bottom ".999 FINE SILVER". The hammered reflective effect follows the bar to the reverse with "SILVERTOWNE MINT" repeated at a 45 degree angle. Each single will arrive heat-sealed plastic. See all available lot sizes for SilverTowne Money Bars 1oz Bars. 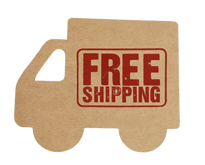 Your 1oz silver bars will be shipped to you in heat-sealed plastic sheets. For a more convenient storage option, you may choose to have your bars packaged in 20-piece durable plastic tubes. Upgrade now with your bar purchase and you will save $.25 off the regular retail price of each tube! 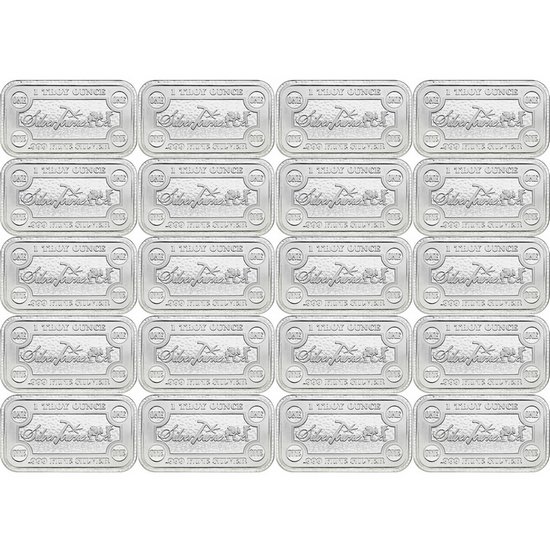 The SilverTowne Money Bars 1oz .999 Silver Bar 20pc is a SilverTowne Mint Minted Bullion Product. Located in Winchester, Indiana, The SilverTowne Mint has been manufacturing quality Silver Bullion produced with the Highest Quality Standards since 1973. When purchasing the SilverTowne Money Bars 1oz .999 Silver Bar 20pc on SilverTowne.com you are buying direct from the source! The SilverTowne Money Bars 1oz .999 Silver Bar 20pc is a SilverTowne IRA Approved Product. Collecting physical silver, gold and other precious metals is a great way to diversify your holdings. For more information on adding precious metals to your portfolio visit SilverTowne.com/IRA or call 1-877-477-2646.